In the summer of 2015 a study tour was successfully organised by HollandDoor. 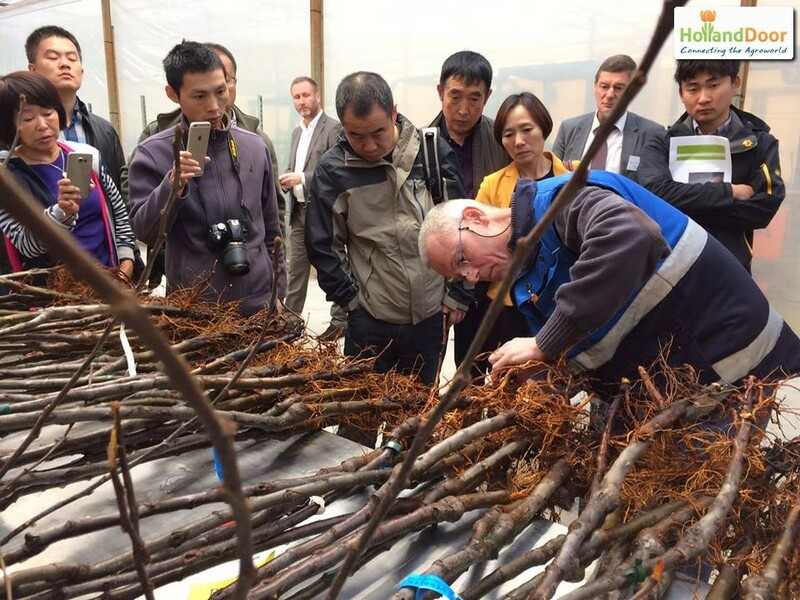 This tour was arranged for a group of 16 top entrepreneurs from the Chinese tree nursery. The Netherlands, Belgium and Germany were visited as part of the tour. This visit was initiated by Mr. Wang Jianming of Handan CityQicaiyuanyi Landscape Engineering Co. from Hebei. Both he and the Chinese delegation were highly satisfied about the organisation of the tour, the visits and the information given. 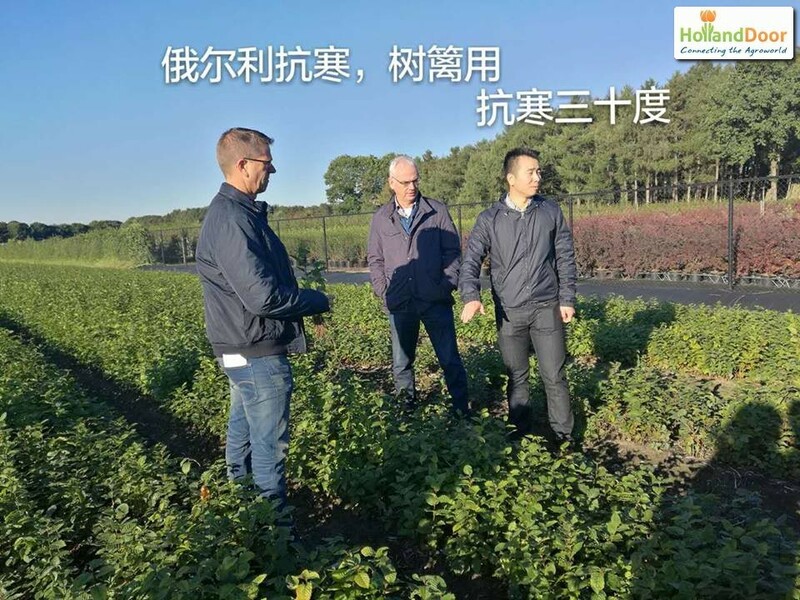 Which is why Mr. Wang requested HollandDoor to organise another similar visit for a new group of tree nurserymen. During the fall of 2016 Mr. Wang came to the Netherlands for a second time for a 2-week-visit with this new group. During their stay both the Netherlands as well as Belgium were revisited. So again HollandDoor arranged another study tour during which tree nurseries and landscape parks were paid a visit. The goal was to inspire our Chinese guests as well as giving them practical knowledge. 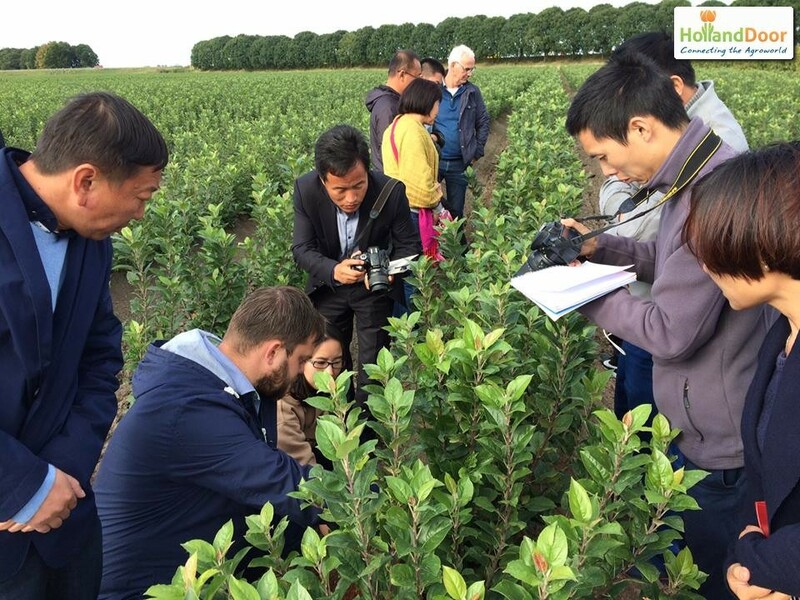 The 2016-delegation existed out of tree nursery companies from 6 Chinese provinces: Hebei, Xinjiang, Shandong, Jilin, Lianong and Sichuan. From the 25th of September to the 7th of October the delegation visited the north of Belgium, both the south east and the south west of the Netherlands. On top of this, a visit was paid to the Opheusden region. Moreover a visit to the trade fair Groot Groen Plus was scheduled for October 5th. A presentation was given by Wang Jianming in which he showed the latest trends and developments of the Chinese tree nursery sector. He is convinced that the Netherlands and China have much to offer to each other with regards to the interchange of knowledge as well as in the area of transacting business. At the end of the study tour the Chinese delegation were for a second time very satisfied about the quality of the programme. There is a great interest in follow-up visits. Several of the host companies in the Netherlands and Belgium also showed interest in a return visit to China.